Thread IP-based wireless networking protocol was originally led by Google’s Nest and backed by ARM, Samsung, Freescale and Silicon Labs. 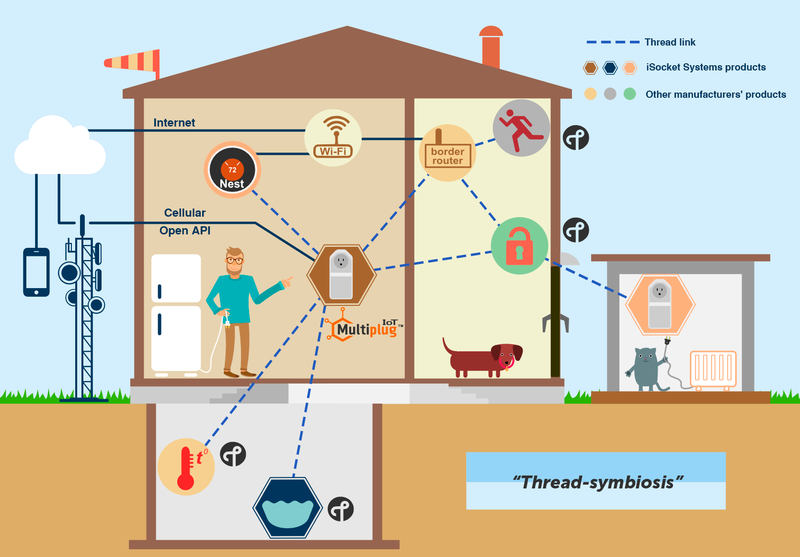 It is designed to securely and reliably connect things around the home and is promoted as a “no single point of failure” solution for smart homes. This new protocol has every chance to be the basis for the Internet of Tomorrow. 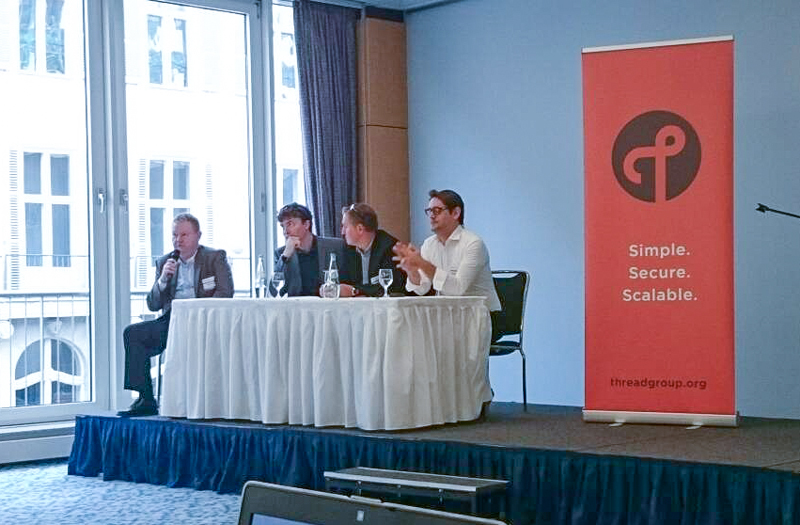 I represented iSocket Systems at the Thread Open House in Berlin October 5, 2015 and I’d like to share a few thoughts with you. 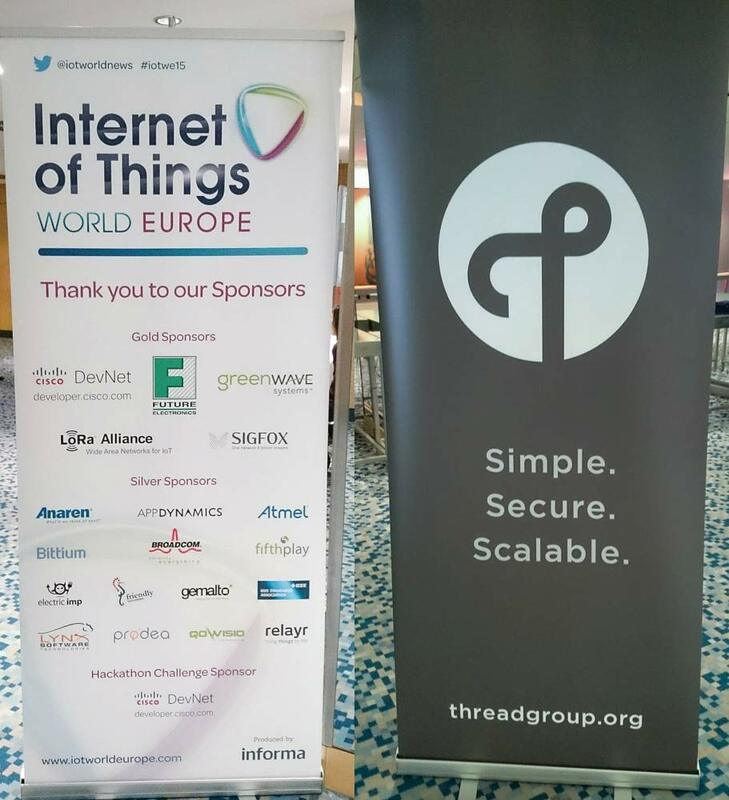 The Thread conference was a part of the Internet of Things World Europe session. Francois Girodolle of Nest Labs represented the President of the Thread Group Chris Boross, who wasn’t able to visit Berlin, and we enjoyed how Francois evangelized Thread without saying too much about Nest. ;) He opened the conference saying that this was the first event for Thread in Europe. He also introduced the first company that joined Thread in Europe – it was Somfy. From France. And he mentioned the first winner of the Innovation Program – Ubiant. From France. The next All Members Meeting has been announced - it will be in France. Industry needs a new protocol right now. Nobody wants to delay this and that’s why we chose to build over the existing 802.15.4 radio. Thread runs on 802.15.4 silicon – you won’t need to rebuild your hardware – a software update will be enough. You can get started with Thread quickly. Thread have no deal with application layer. We call it 3+ layer. Comment to the post if you wish to know more about what the above means, or read more on the Thread Group website. 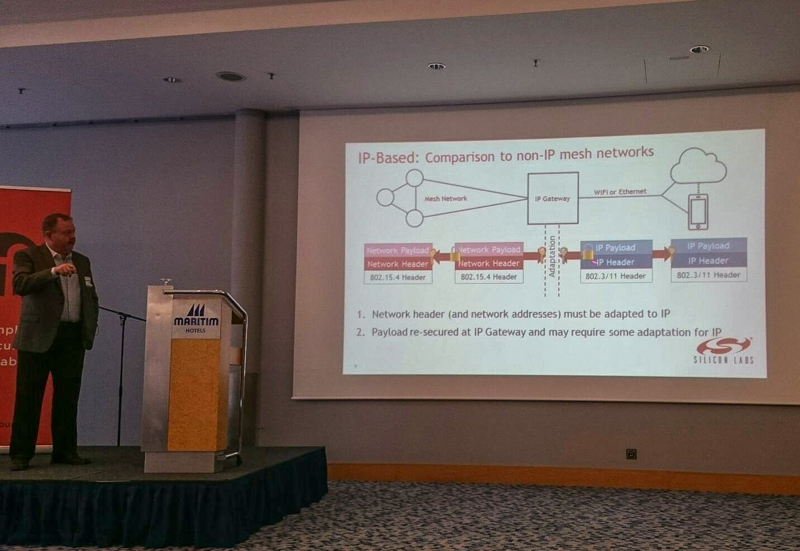 Due to IP-based nature of Thread, we benefit from simplified IP bridging between mesh network and Internet, where the border router does not pose a security risk, as it would do in the case of a non-IP mesh network with an IP gateway. The most popular slide of any presentation. All are bad on left side and your product is the best – on right side. The most interesting part of all conferences - at least for me - questions and answers. It’s the perfect opportunity to listen to what others are thinking, what concerns they have and what their demands are. 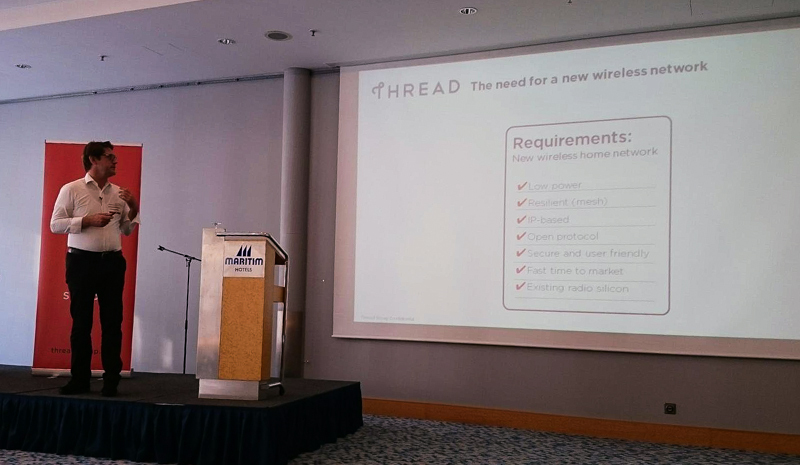 This was the main reason for my visit this evening because I was already familiar with the other aspects of Thread, since we designed our IoT Multiplug around Thread - thanks to great support from Gordon Parkin, Antonio Concio, Cristian Cotiga and other guys at Freescale. Three "French guys" © David (David himself answered the questions). A lot of questions from the audience were about border routers. What if only one border router is used and it fails? What if we don’t want to manufacture routers? – a very good question, because traditionally all manufacturers are forced to make routers if they want their smart home systems to go online. All this shows that iSocket Systems is on the right track with its IoT Multiplug offering. 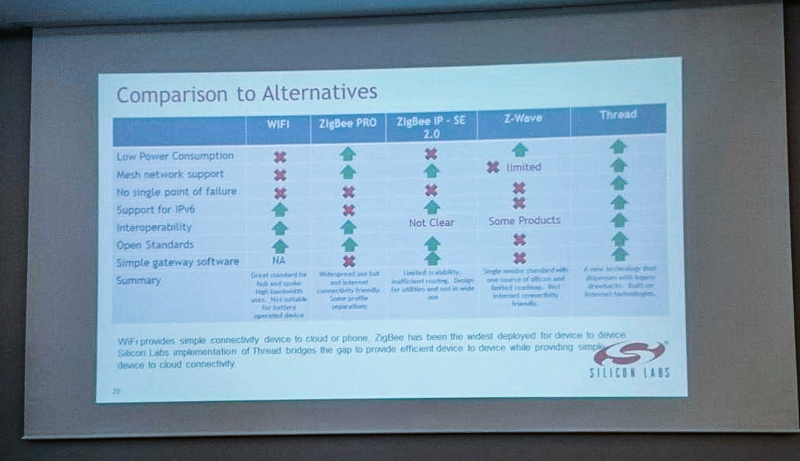 Especially encouraging was the statement from Thread Group: “We hope that routers will be offered as a feature in many products”. What does this mean for us? It means exactly what we say here – “a router must be useful”. Again, iSocket Systems have predicted the future trend and consumers’ demand! :) Our vision seems to match Thread Group’s vision very well – the router must be a feature OF THE product and not vice versa. That’s why we’ve designed a most unusual, classy and aesthetically pleasing router for the Thread network – a router that doesn’t just route, but performs useful functions. "No single point of failure" - consumer does not agree! Again, this was a concern and people asked a lot about it, because this is almost the central concept that Thread Group promotes with Thread. iSocket Systems agree that the objective of a "no single point of failure" system is the ultimate goal, but from the very beginning our belief has been that this has to be totally credible for consumers, who don’t just consider just the local network - they want the whole system to be stable. Questions from the audience confirmed that we were right in making this assumption. 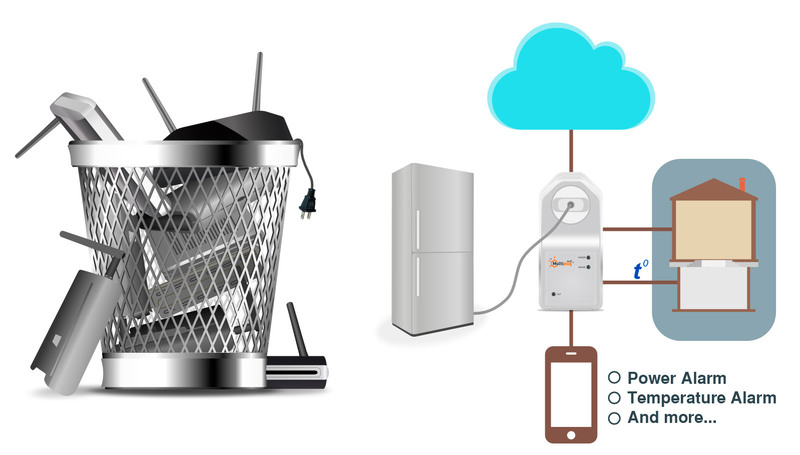 A system that ceases to function when 1) Mains fail, 2) Wi-Fi hangs up, or 3) There is no internet on the phone, is not a true "no single point of failure" system for the average owner of a smart home. Engineers might agree to call it "no single point of failure" – but the consumer does not, if his smart home doesn’t work. That’s why we have created CECO HOME and applied to Innovation Program with this project. 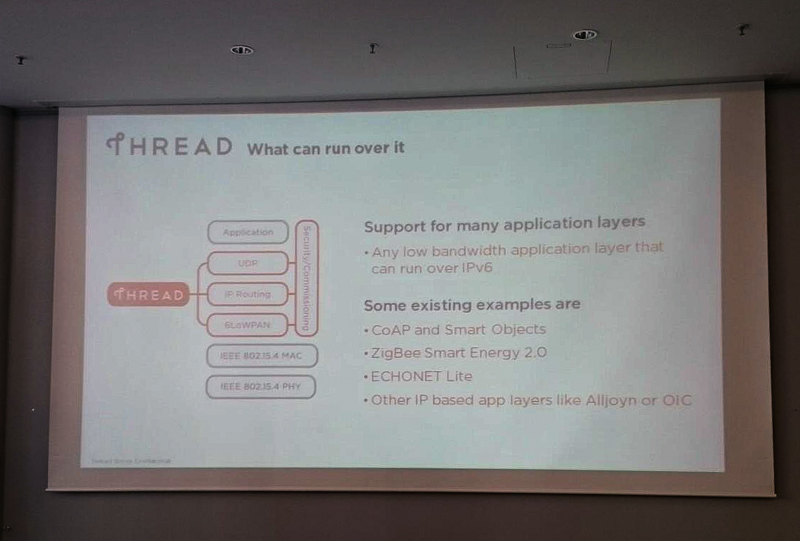 Why is no application layer defined by Thread?